This is a reminder to all that tomorrow, Saturday Feb. 23, 2013, is a very special literary event! 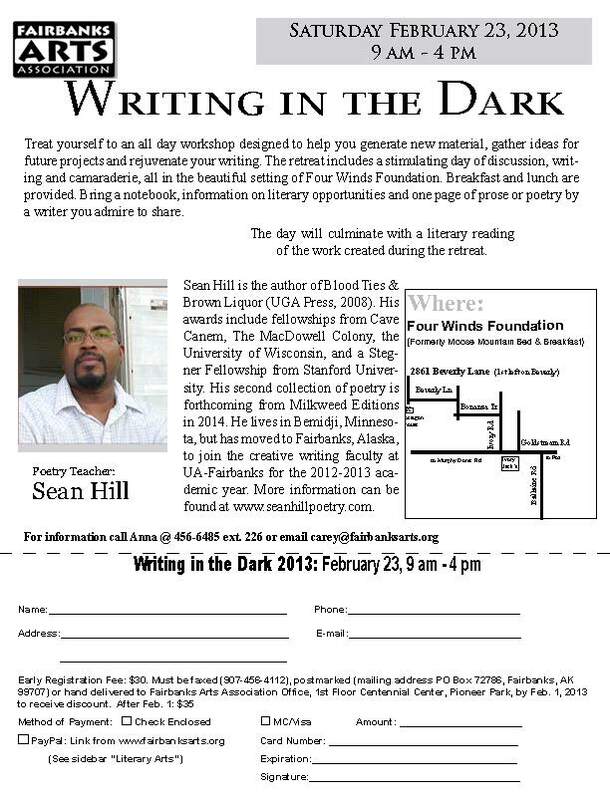 Treat yourself to an all day workshop and retreat with poet Sean Hill. The retreat is designed to help you generate new material, gather ideas for future projects and rejuvenate your writing. The day includes stimulating discussion, writing and camaraderie, all in the beautiful setting of Four Winds Foundation. Breakfast and lunch are provided. Please bring a notebook, information on literary opportunities and one page of prose or poetry by a writer you admire to share. You can look forward to a comfortable and informal day of writing in a relaxing atmosphere. The full day workshop with food is just $35. For details and directions please see the attached flyer. Hope to see you all there!